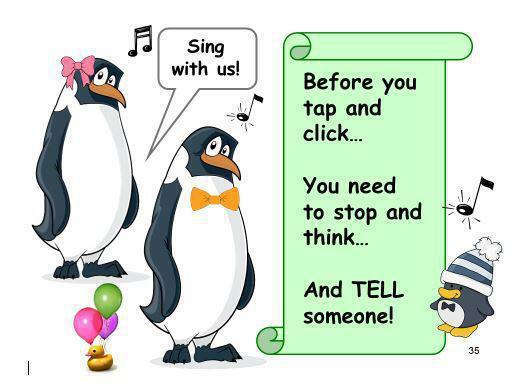 E-Safety is very important and is something we have been talking to the children about using a story called 'Smartie the Penguin'. This story reminds the children to think before they click and always tell someone when something worries them online. If you wish to share the story at home, you can download it by clicking the link below.